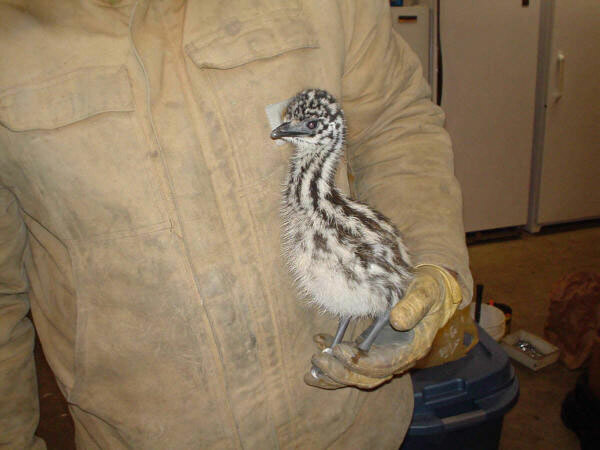 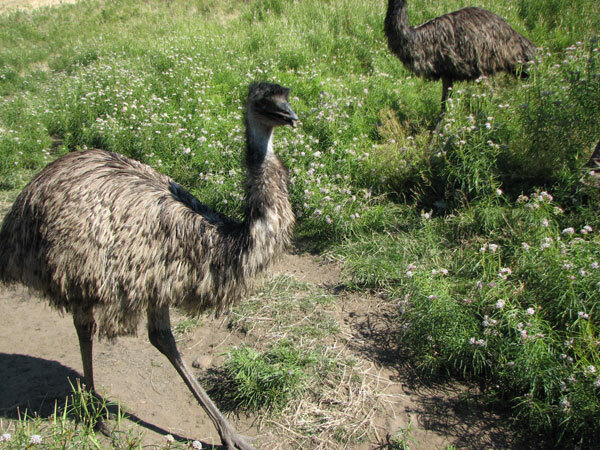 Emus, native to Australia, are available for sale at Schreiner Farms. 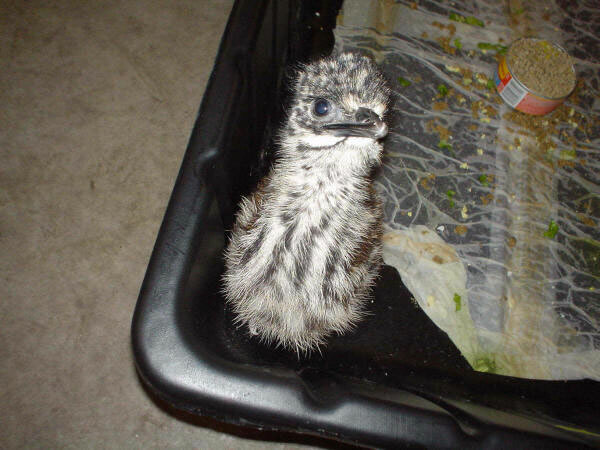 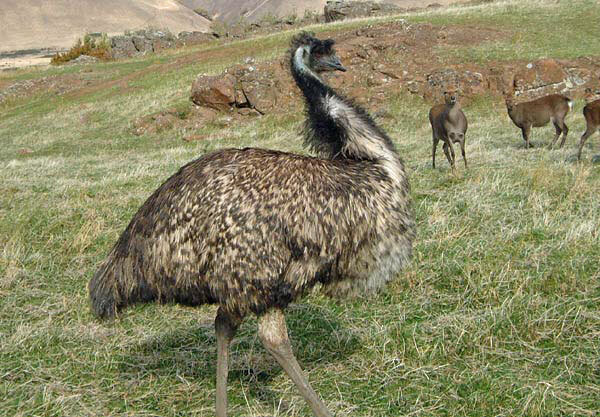 The Emu is a soft-feathered native bird of Australia and the second largest flightless bird in the world. 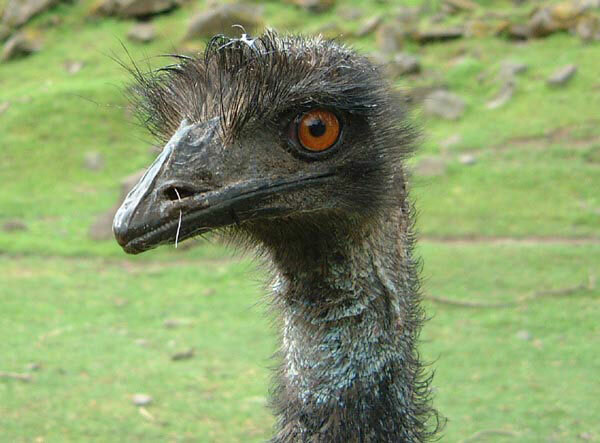 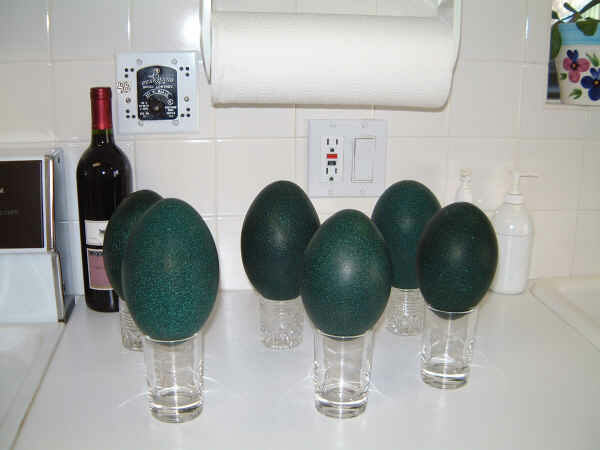 The Emu can get up to 6 feet (2 meters) in height and weigh up to 100 lbs (45 kg). 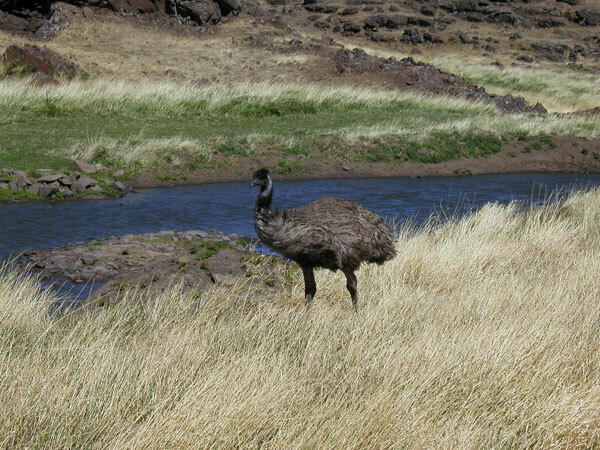 They are common over most of mainland Australia, although they avoid heavily populated areas, dense forest and very arid areas. 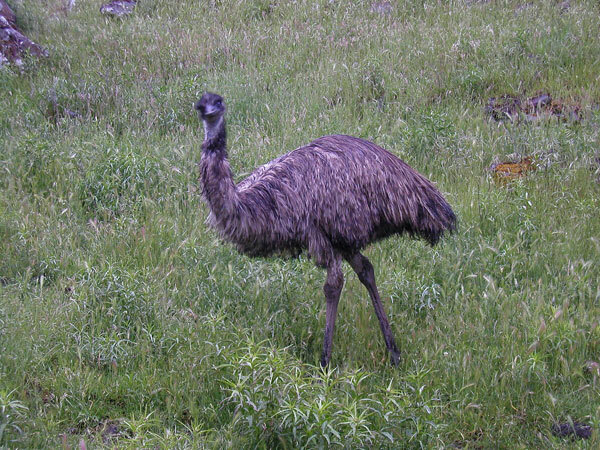 Emus can travel great distances at a fast trot and, when necessary can sprint at 31 mph (50 km/hour) for some distance at a time. 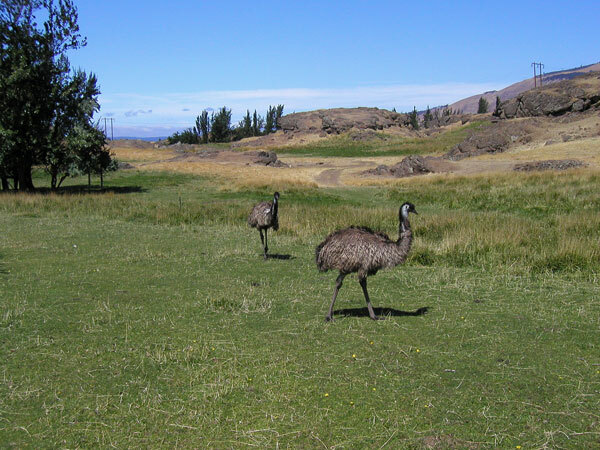 It is estimated that the Emu population is 625,000 - 725,000, with 100,000 - 200,000 in Western Australia and the remainder mostly in New South Wales and Queensland. 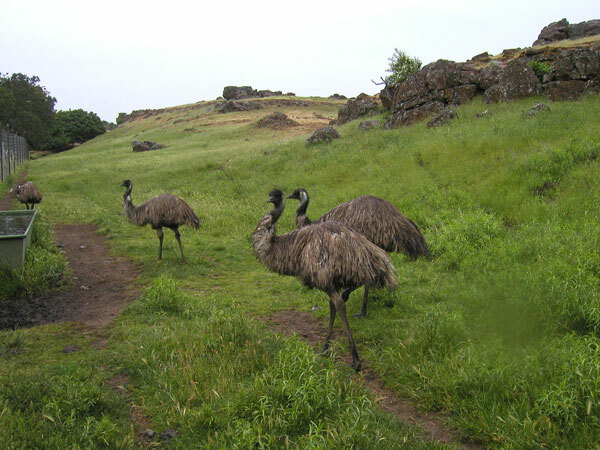 Emus have brown to grey-brown plumage of shaggy appearance. 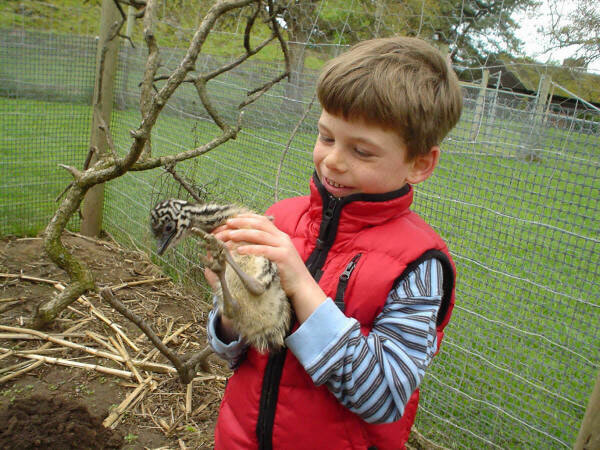 The tips of the feathers absorb solar radiation and the loose-packed inner plumage insulates the skin. 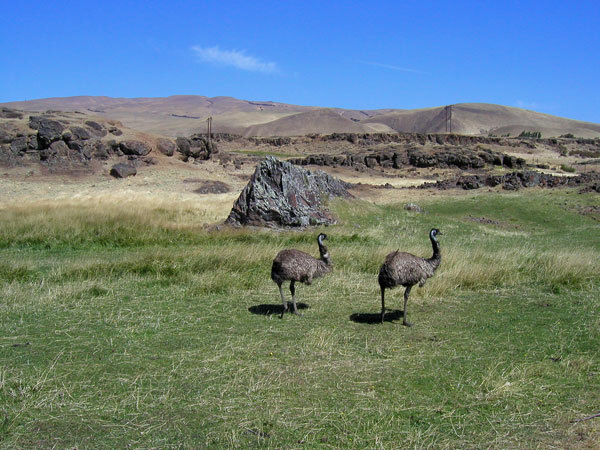 The heat is prevented from flowing to the skin, allowing the bird to be active during the heat of the day. 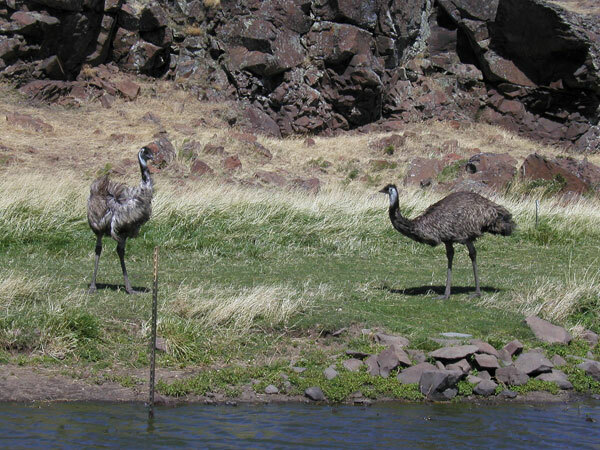 A unique feature of the Emu feather is its double shaft, emerging from a single shaft. 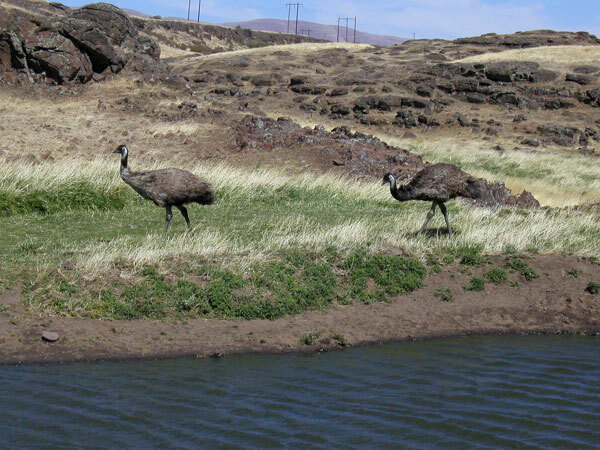 The sexes are similar in appearance. 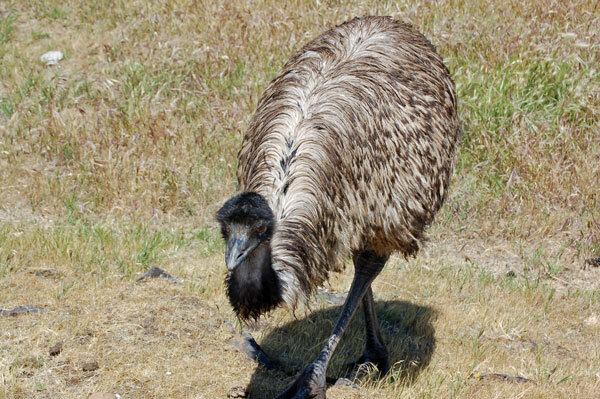 On hot days, Emus pant to maintain their body temperature, their lungs work as coolers. 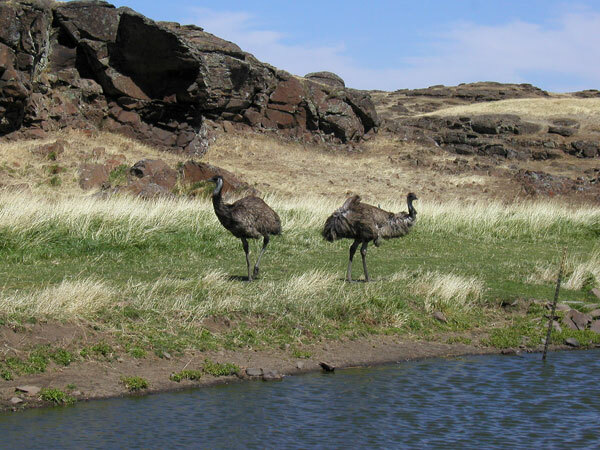 For normal breathing in cooler weather, they have a large, nasal passage that warms cool air as it passes through into the lungs, extracting heat from the nasal region.